With the advancement of technology, methods of reading novels have changed. Although many people still buy hard copy books, now you can also access thousands of e-books at once from your mobile device. Apple users are likely aware that you can get access to a vast collection of books on the iBooks app. But what if you need to add a book to it that isn't currently available on iBooks? You can add PDF eBook files to iBooks on Mac (including macOS 10.14 Mojave) using PDFelement for Mac. Although you can directly import your PDF on iBook, you cannot edit it. 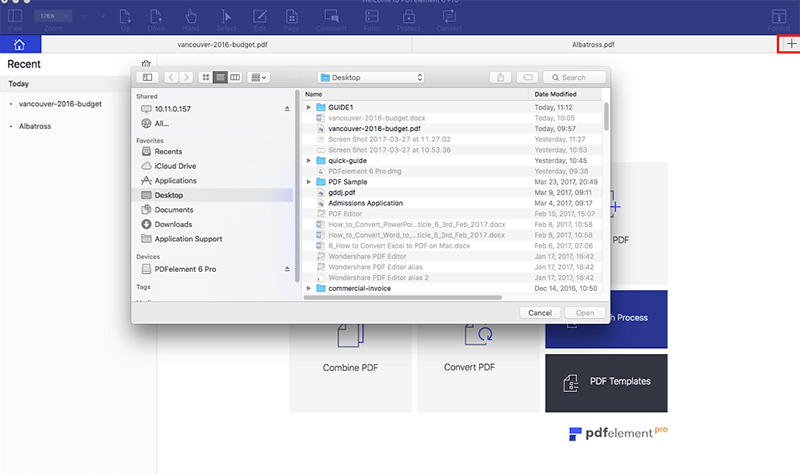 PDFelement for Mac lets you edit your PDF files. There are many editing tools available that let you remove or edit text and images as required. You can also add your digital signature to PDFs or add password protection for greater security. If you want to split your PDF into different files, you can divide it by segments. You can even add a watermark to it. You can merge different file formats like Word and Excel files to create a single PDF file. After you are done with editing, you can easily upload your file to iBooks using this amazing tool. Launch PDFelement for Mac. Then open your PDF by clicking the "Open File" button on the Howe Window or dragging and dropping it into the interface of the program. You can now edit the PDF before you add to iBooks. 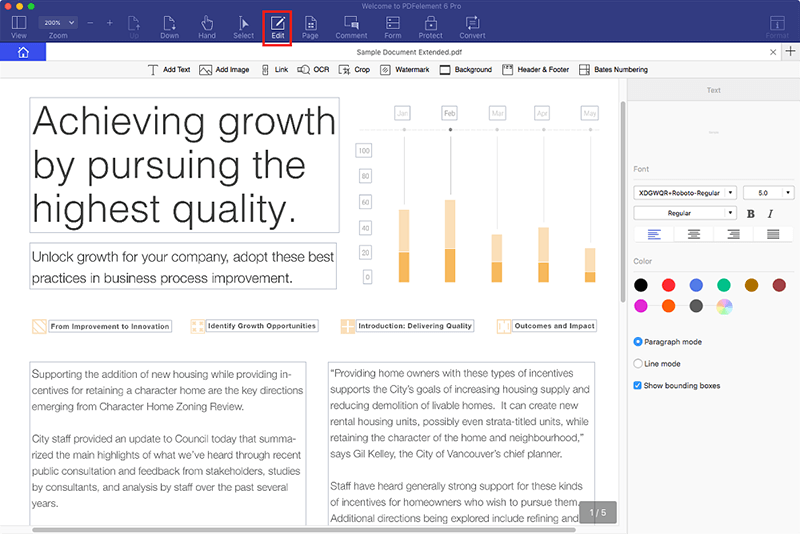 Click on the "Edit" tab on the menu bar and use the available editing tools under this tab to modify the text, images and links of the PDF file. Go to "File" and select "Print". This will open a new "Print" window. 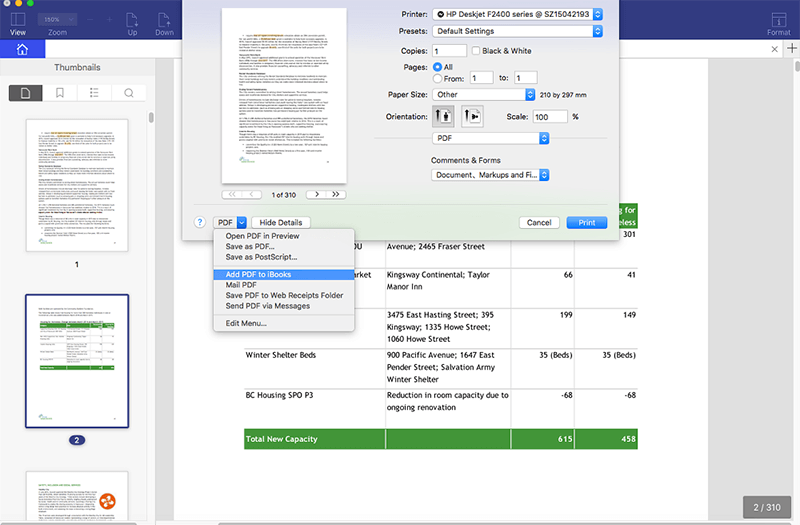 Click on the "PDF" option, and then in the drop down menu, select "Add PDF to iBooks". Your PDF has now been added to iBooks, and you can open iBooks whenever you'd like to view and read your PDF file. To open your PDF file in iBooks, click on the "iBooks" icon on your screen. Your uploaded PDF will be ready to open so you can start reading. And there you have it. This is how to save PDF to iBooks, as well as open PDF files in iBooks.